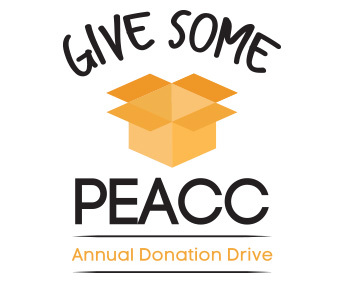 PEACC is hosting its annual donation drive in the spirit on the holidays! Give Some PEACC is a drive that we run with the intentions of supplying a number of shelters with both much-needed day to day supplies and gifts that might lift the spirits of those staying there for the holidays. Boxes will be placed in The Bellamy, BCM, PEACC Center (SAC W309H), The LGBT Center, The SRC, The Women's Center, The School of Dentistry, The Olga S. Peers Student-Athlete Center and The Cultural Center, and you can drop your wonderful donations off at those locations!